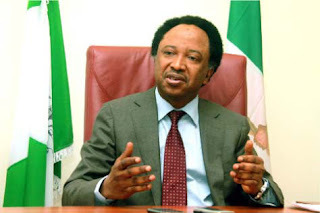 A group of 18 elders in the ruling All Progressives Change (APC) in Kaduna State on Wednesday condemned the purported suspension of Senator Shehu Sani from the party, declaring that the action was childish. Sani, who represents Kaduna Central senatorial zone in the senate was suspended by his Tudun Wada ward, Kaduna for failing to appear before a disciplinary committee to defend himself over accusations that he was criticising President Mohammadu Buhari’s anti-corruption war and Governor Nasir El-Rufai’s administration. The party elders also called on El-Rufai to stop alienating himself from the people and the party by leading with compassion and sensitivity to exclusiveness and respect for the citizenry. The elders in a statement issued in Kaduna, urged the national leadership of the APC to, as a matter of urgency, facilitate the filling of 14 existing vacant party positions in the state through constitutional and credible processes. Some of the elders who signed the statement include the former interim state chairman of the party, Dr. Hakeem Baba Ahmed, Ambassador Sule Buba, Mr. Matamaki T. Maiyashi, Dr. Stanley A. Mamman, Mr. Joel Giwa, Senator Lawal Aliyu, Hajiya Hafsat Mohammed Baba, Mallam Murtala Abubakar, Alhaji Makama Rigachikun and Alhaji Mohammed Kabir Ajuji to mention these few. The statement declared that “the purported suspension of Senator Shehu Sani is one example of the result of the degeneration which is bound to occur as a result of the hijack of the remnants of our party by a clique that believes it owes its loyalty only to the governor. “The fiasco which this development is generating is placing our party in severe disrepute and our members in a state of intense grief and confusion. The questionable legality of the suspension and the childish reasons given for it demand that responsible members of the party speak up and demand a stop to the embarrassing melodrama that is unfolding. “We are constrained to advise that steps be taken to arrest the damage being caused. “No Person shall exercise powers outside the party’s constitution. People claiming powers, including powers to query or discipline members should not themselves be holding powers that are illegal. “The purported suspension of Senator Shehu Sani should be withdrawn. We advise that the Senator should not take legal steps to seek relief either.